The European Ombudsman has found that the EU executive under President Jean-Claude Juncker failed to follow procedures in appointing his chief aide to run the EU civil service and so undermined public trust. Publishing the findings of her investigation into the February appointment of Martin Selmayr as secretary-general of the European Commission, Ombudsman Emily O’Reilly said on Tuesday (4 September) that four instances of maladministration resulted from not following rules correctly, “either in letter or in sprit”. At issue were secrecy around the impending retirement of the outgoing secretary-general, an “artificial urgency” to fill the post that went unchallenged by Juncker’s 27 fellow commissioners from member states and Selmayr’s appointment as a deputy to his predecessor just minutes before being promoted to the top job. The Ombudsman also criticised the Commission for “defensive, evasive and at times combative” responses to media questions on the arcane manoeuvres around the publication of vacancies and selection of candidates which preceded an appointment that Juncker and his fellow commissioners were always free to make. And she faulted other commissioners for failing to query why Juncker was rushing through a new job for his chief of staff. 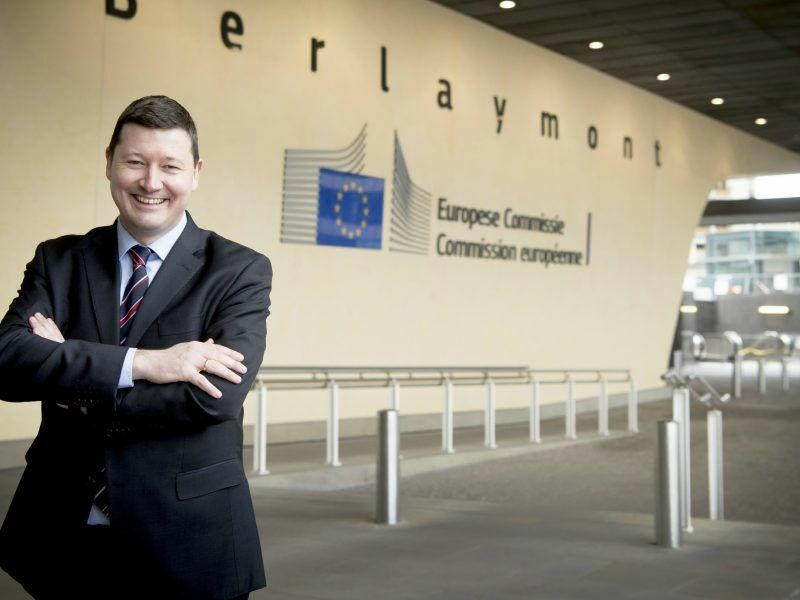 The findings, accompanied by a recommendation to review the procedure for the appointment of the Commission’s top official, does not annul the appointment of Selmayr, whose combative style has won the German both admirers and many enemies in Brussels. But it reinforces damage to the EU executive’s image after the European Parliament accused Juncker of a “coup-like action” just as backers of stronger EU institutions gear up to fight eurosceptics in elections next May to the EU legislature that will be held in the wake of Britain’s exit. “Our inquiry … shows the precise steps the Commission took in order to make the appointment process appear normal,” the Ombudsman said in a statement. Juncker, a former premier of Luxembourg, will retire late next year and government leaders and Parliament will oversee the appointment of a new Commission for the next five-year mandate. 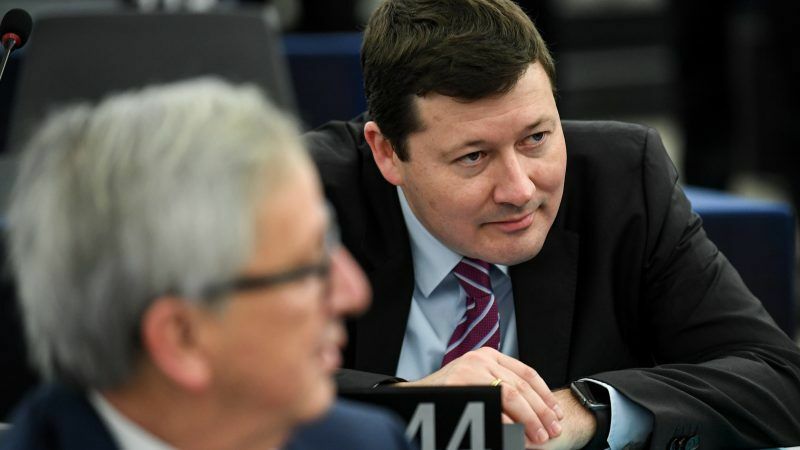 As a civil servant, Selmayr would be expected to retain his role running the 30,000-strong administration in Brussels during a transition but could be replaced under Juncker’s successor. In reply to an avalanche of journalistic questions at the daily midday briefing, the Commission made it clear that it sticks to its guns and doesn’t share the “analysis” of ombudsman. Chief spokesperson Margaritis Schinas said the EU executive will provide answers to her. He said that the statement by Günther Oettinger, the commissioner responsible for budget and human resources, who was the MEPs’ interlocutor throughout the scandal, remained valid. Schinas said that the Commission had made proof of “unprecedented transparency” answering concerns over Selmayr’s appointment. This is exactly the contrary to what the Ombusman said, as she expressed concern over “the different measures taken by the Commission, so that the process would look like normal”. Asked how he would comment the assessment by the Ombudsman that public trust in the Commission may be damaged, Schinas said that the Eurobarometer opinion poll, made as the scandal was unfolding, indicated to the contrary that the citizen’s confidence in the EU and in particular of the Commission had increased. I’ve been struggling on a great deal and its not been easy and then I found Emini S&P Trading Secret, this trading business gives me hope that my dreams do come true.